I love living here. Staff is very helpful and always tries their best to make sure you get what you need. All the residents are friendly and overall it is a chill place to live for a student. The staff is friendly, and very helpful when it comes to me constantly changing my lease because I decided that I wanted to stay over summer and switch from a 3 bedroom to a 2 bedroom. Happy to be living here again. Hi Lesette! We are happy to make any accomodations for awesome residents like you! Thank you for your kind remarks and we appreciate this feedback. Glad to have you with us! I enjoy living at wilshire. The community is quite and I haven't had any major issues with my apartment. Maintenance is pretty timely with requests and is always nice. Hi Katherine - Thank you for your feedback! It's always nice to hear when our residents are enjoying the community! Please let us know if we can ever do anything to help. Have a great day! The staff always tries to accommodate for any problems that I have, and are super helpful. I signed another lease and hope to have another great year. Hi Wesley! This made our day, thank you SO much! We are lucky to have awesome residents like you and we know next year will be AMAZING! Thanks for your support! The community is nice and clean, staff is helpful and timely; great for students. Down side is the expensive, non-refundable price they charge for the pet-deposit. 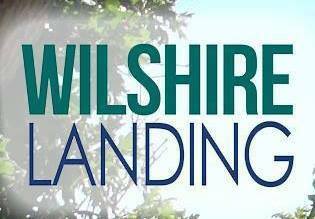 I love living at Wilshire Landing! I moved into Wilshire Landing because I have friends who have lived here in past years and always liked the quality of their apartments and the community around it. Wilshire is the perfect place to come home to with so much going on everywhere else. I love it here. It is very chill and laid back. It has a great atmosphere with plenty of things to do such as swim, tan, as well as a place for people to workout. I have personally enjoyed staying here. I love how I’m close to everything, the community is great such a friendly neighborhood. I love it being pet friendly!! Hi Regan! Thank you for this sweet review! We've enjoyed having you and hope you will continue to love where you live! The staff is very helpful and nice! The apartment complex is always very tidy including the gym and tanning bed and main office. Everything is very organized! Hi Jordan! Thank you so much for this sweet review! Not sure if you've heard yet, but we are doing a grilled cheese truck event next week. Hope to see you there! I've lived here for about 6 months. This place seems to be a good apartment complex. The amenities are good they always have events going on. The wifi is not good though it always goes in and out and its really inconvenient when I'm doing homework. Hope you're lucky if you do roommate matching because I got stuck in a really bad living situation and the office doesn't care. Won't be renewing my lease. Hi Carah - It's Tasie, we just got off the phone. I'm glad we could discuss your current living situation and I promise we will get everything take care of when you get back in town. If you need anything in the meantime, you can email myself at anastasia.retson@tpco.com or Bailey at bailey.bennett@tpco.com. Thank you for taking the time to talk with me and we look forward to making this right! Have a nice week! Everything is good here. They could have done a better job cleaning the room tho before my arrival and wifi can be a bit bad sometimes but apart from that you get your moneys worth. Hi Julian - We appreciate your feedback and would like to apologize your bedroom wasn't in a satisfactory condition when you moved in. To help us prepare for new residents and to see where we went wrong, would you mind elaborating on the condition of your room? You may email me directly at anastasia.retson@tpco.com and I'd be happy to look into what we can to do make that situation better for you. Thanks again for bringing this to our attention, and I hope to hear from you soon! Really love it here. The front office really did their best to help me whenever I’ve needed help. Great dog community too! If I wasn’t graduating in the spring, I’d renew my lease for another year! Hi Landon - Thank you so much! We are super lucky to not only have the best residents, but the best community pets too! We appreciate the review and wish you the best of luck after graduation! I have lived at Wilshire Landing for two years now. All of the Amenities are accessible to residents and the gym is open 24 hours which makes it nice to go after the office closes at 6pm. Highly recommend! Hi Samantha - Thank you so much for your continued support over the years! We have loved having you here with us! Glad to hear you are taking advantage of the 24 hour gym, is their anything else you think we should add in there? We are always looking for suggestions on how to make it better! Thanks again and have a great week! Overall, it was great. There were some problems, but I enjoyed living here. The pool isn't the best, and maintenance should be improved a bunch, lack of response, untimely answering, ignoring problems, and pushing off requests, but the treats were fun and the people that worked in the office were very nice. I wish there was as better night time security, a lot of the time all you saw was them on their phones in their car or NOT EVEN IN THEIR CAR. They also didn't answer their phone when we called 3 times. Hi Lauren, thank you so much for providing this valuable feedback. Glad to hear for the most part, you have enjoyed your time at Wilshire Landing. Would you be able to elaborate a little regarding any issues with maintenance? You can email me directly at anastasia.retson@tpco.com. We are always interested in ways to improve the community. I will also let the property manager know about your experience with the security team. Thanks again for giving us insight into your time here and we look forward to improving on the items mentioned. Hi Frauke! Thank you for your sweet compliments on our office staff and for leaving us a review! If you ever feel like the noise from your neighbors is at an unreasonable level (or time of day), please let us know in the office. We would be happy to remind them of our community quiet hours! Thanks again and have a great day! I have really enjoyed living here, the staff is not only friendly but they are helpful and the unit we live in is nice and worth the price!! Hi Madelyn - Thank you very much for this kind review! We're so glad that Wilshire Landing has been a great home to you thus far. Please let us know if there is ever anything we can do to continue to help. Have a great week! Not a bad place to live. Nice having the shuttle to get to and from campus. Close to most. Downfall is the walls are super thing and my upstairs neighbors are very noisy. Hi Alexa - We couldn't agree more. Wilshire's location is super convenient to the grocery store, campus, and just a few minutes to everything else. Are you still experiencing noise concerns with your upstairs neighbors? Would you say it's at a reasonable level? If you like to talk more about this issue feel free to email me personally or stop by the office. My email is anastasia.retson@tpco.com - Thank you! I love the lay out of my apartment. I love the neighborhood it is located in. I love the fact that the fitness room is open 24/7. I love the fact that the community offers free printing to the residents. Hi Heather - Well we LOVE this review! Thank you so much! It makes us so happy to read such postive words from you. Thanks again and please let us know if we can help in any way! Based off my experience, Wilshire Landing has been a very quite and clean environment. Staff is very nice and help as much as they can. Maintenance always handles any request I have in a timely manner. Hi Leslie! We appreciate hearing your feedback about the community! Let us know if you have any suggestions to help us to continue to improve. Have a great week! Wow! Thank you so much Joshua! Your recommendation would mean so much to us! We are so happy that you are enjoying your time here at Wilshire. If you ever need anything in the future or have suggestions for us, please let us know. Have a wonderful week! The office staff are really nice and i love the safety of the complex in general!! I do wish there was more than one way out, but having nice amenities and awesome clubhouse events, it makes up for it!!! Hi Imani! Thank you so much for your compliments and feedback! We agree, it would be nice having another entrance or exit. Since we're such a small community, it would be very difficult to accomplish. Hopefully it doesn't cause you too much inconveniance. Hope to see you this Thursday for our Breakfast For Dinner event (pancakes)! So far my experience has been really good. I would expect the housing authority to be more efficient when they deal with a maintenance issue. Honestly havent had any problems with wilshire they have been very accommodating and nice about everything that me and my roommate had an issue with! Hi Taylor! Thank you for leaving us such a sweet review! We hope we can continue to impress you in 2019! Have a great day! So far living here has been good. You can hear neighbors through walls, but other than that everything is alright. The apartments are good for the price. Hi Haley! Thank you for feedback about the community! If you ever feel like there is excessive noise from your neighbors, please let us know. Unfortunately, being an apartment comples we share a lot of walls, so some noise may be inevitable. Hopefully this won't disturb you too much. Please let us know if we can help at all in the future! Have a wonderful week! Was very happy with my experience at first until the new utility policy came into play. This is very inconvenient as most students want all inclusive apartments, in order to be stress free and not have to worry about added bills. Hi Abigail! We appreciate hearing your thoughts about the new utility policy and completely understand where you are coming from. This is a policy that our management company has implemented, and many of our neighboring apartment communities have begun this as well. We hoped it would help our residents become energy concience and not be too much of a burden. If you have any specific questions or would like some tips for minimizing costs, please let us know. We'd be happy to discuss this further. Hope you have a great week!